Today, I have a found a new function in QueryRun class and thought of sharing it here in this post. Its use can be found while integrating AX with some external applications. I am sure that everyone has used queryrun class in x++ code. I have found out a special function in QueryRun Class with which we can do paging while retrieving the records.i.e., retrieve a range of rows from a query i.e., For example, if we get some 14000 records from a query but we want to retrieve the records from 11501 to 12000 only then this could be a useful tip. you can follow the below code snippet to perform paging for a query. 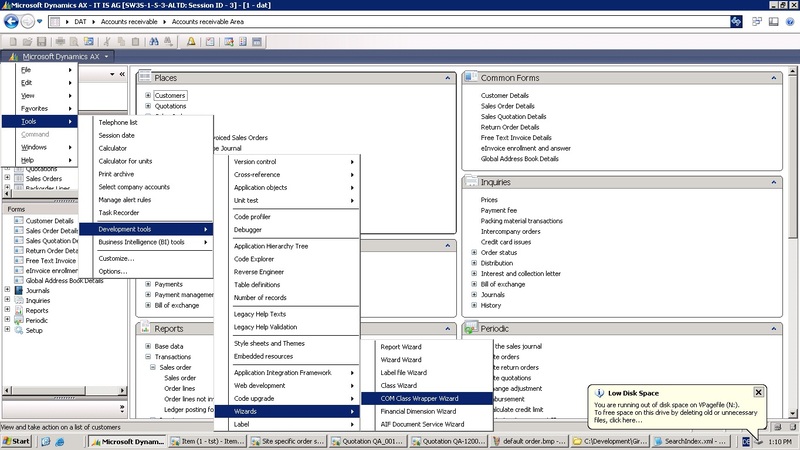 Now, thus we can get the list of required 500 itemids into an xml and thus we can pass it to some external application. Although it has huge advantage, it has a disadvantage too, i.e., this cannot be used on a temporary table. An important point to remember is that an ordering must be done for the query before paging is done. For Ex: qbds.addOrderByField(fieldname2id(tableid,'ItemId')) or qbds.addOrderByField(fieldname2id(tableid,'ItemId'), sortorder::descending) or any other ordering method. Therefore, Paging will not work if the query is not in a sorted order. Here is a code snippet to convert any file into a base64 string in x++ using some dot net inbuilt classes in AX. To convert it, initially clrinterop permission must be granted to access the dot net inbuilt classes then load the file into file info, initialize the byte array with the length of file, stream and read the file and then convert the file to a base 64 string. Thats it done..................Now njoy converting any file into a base64 string from AX. Generally, most of the customers would request for a functionality to store an image for an item. For this, there is no need of high customization. Initially, Goto the Design in InventTable Form and add a Display Menu Item called CompanyLogo to its button Group. Change the label of the Menu item button in the form. Now, open the InventTable form and click on the menu item and load an image associated with a record. 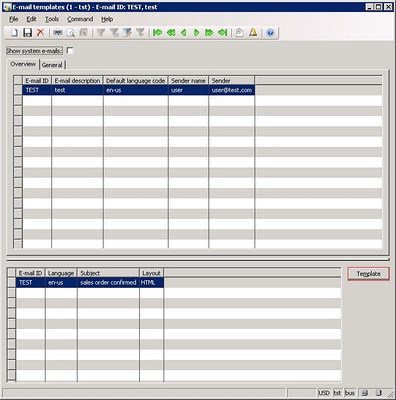 This image will be stored in the CompanyImage table as a BLOB in a container with the refRecId, RefTableId and RefCompanyId of the associated record(Here Record of InventTable). Thats it done, Now you can see the image in your file system....................This can be done to store and retrieve the images for any record from any table. Wait For more posts on encoding files in AX. I have seen that few developers have a problem in getting the total Sales order amount or sales quotation amount with Tax /discounts etc., in the preferred currency before invoicing because these are not stored into any specific tables. Now, this can be achieved through code using SalesTotals class. Check out the below code snippet. In the above way, we can get all the values available in the totals form in the Sales Order Form by changing the TradeTotals values. We can get the values in the desired currency by providing a valid currency as a parameter to the displayFieldsCurrency method. In the same way we can apply it to get the Sales Quotation totals also but instead of salestotals we need to use SalesQuotationTotals class. Labels: sales amount with tax through code, sales quotation amount with tax through code. I have observed that lot of developers face difficulty in printing the Sales Invoice report into file system through code. Here is the code snippet for it. 1. 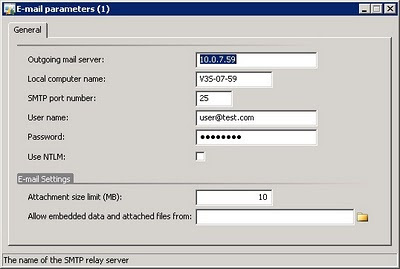 To send an email through AX, Initially we need to configure the e-mail parameters in the administration module. 2. If you want to configure an email template. That can also be done from the basic module. 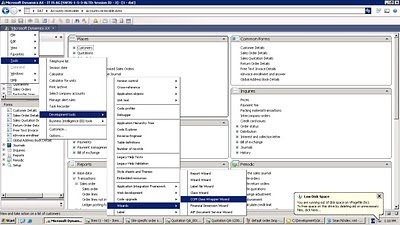 In the above code, Initially I have given COM object access permission and then i have given the UNC path of the pdf file that has to be attached and assigned it to the file path variable then I have attached the required parameters to the sysmailer class and then performed sending e-mail functionality and then reverted back the code access. 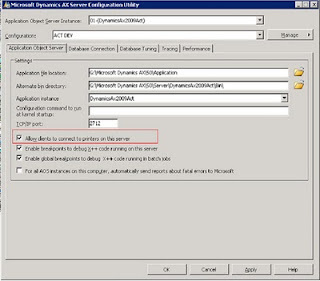 Here, I am telling you about how to register a COM wrapper dll and then extract & use it in AX. (i) Install the COM Wrapper DLL Files, into the bin directory of the AOS. 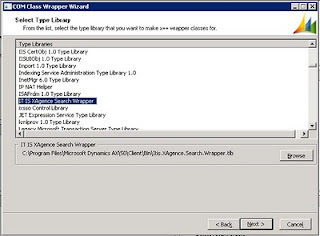 (v) Select the installed Wrapper and then click Next Button. (vi) Then give some string as an element mask and then click finish. 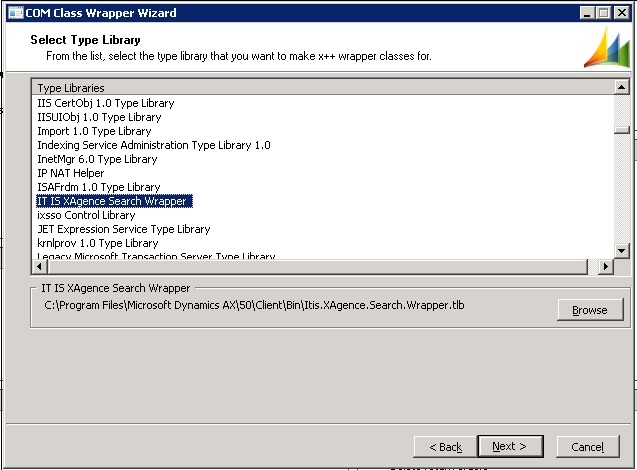 Now, you can see that all the classes created in the wrapper dll will be present in the AOT. Just directly use those class/classes in your code. As the Wrapper DLL has been registered in the AOS, So the methods in the extracted classes have to be called from the methods of classes whose run on property is server. (i) Enable AOS printing on the AOS server configuration (see below). Do not restart the AOS yet. 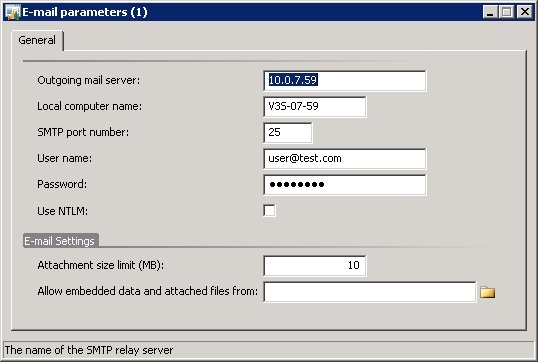 (ii) Due to a bug in the Configuration Utility, we need to manually update the corresponding value in the registry. useserverprinters and set the value to “1”. After that restart the AOS. (iii) Provide an UNC Path on the AOS computer that will used for saving the PDF Files (temp. only). Now you can print the AX reports as a pdf, rtf,txt or any other valid format through code(x++) from batch job scheduling. My name is Giridhar Raj Singh Chowhan.